Are you an aspirant who is looking for central government jobs? Here is an opportunity for you and now it is the right time to apply for the job. 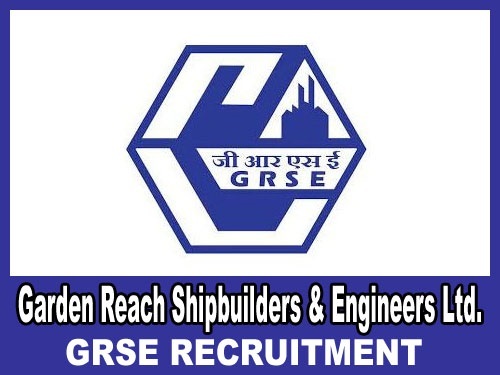 Garden Research Shipbuilders & Engineers Limited has recently published an advertisement for recruitment of Supervisor and Junior Hindi Translator for filling 21 (20 for Supervisors and 01 for Junior Hindi Translator) vacancies. The applications are welcome till 23rd of April 2019 from the interested candidates. You can ally for the job if you are from the age group 18 to 28 and have completed your graduation. To apply you may visit the official site and look for the notification and read the required information, based on the specific eligibility and your interest you may apply for the job. Fill the required details appropriately and upload the documents and pay the fee if needed. Take a print out of the application and have them for future use. Also, receive the required information from the official site and gatherer upcoming vacancies and exam details. Bachelor’s Degree in Hindi with English as one of the subject at the degree level. It can be either compulsory or optional form the recognized Institute/ University. The government recognized degree or certificate or diploma in Translation from Hindi to English and Vice-a-versa. Online: The candidates applying for the GRSE Recruitment 2019 can pay the fee using a credit card, debit card or through net banking (if applicable). Step 2: Look for the official notification and click on it. When the notification gets opens read the complete information given on them and understands them. Step 3: Look for the Qualifications necessary and other eligibility for applying for the job. Step 4: When you are interested and eligible for the job, click on the application and fill the required details appropriately and upload the documents required. Step 5: make the payment if necessary and finish the complete the application process. Step 6: Make a print out of the copy and have them for the later use. It is also necessary to be updated with the official website for further information about the recruitment and for upcoming vacancies as well.